It’s so easy to sign up to new ultra endurance events these days, especially from the comfort of your warm and cosy home. And then there comes a point when the severity of what you have let yourself in for sets in. In my case, it’s the fact that in a little over 5 weeks I’m heading over to the Swiss Alps to take on a totally new type of challenge. It’s called Everest in the Alps. Essentially, alongside 15 others, I’m going to climb to the height of Everest (all 8,848m of it) over the course of four days. The rub is that I’m going to do this on skis! Have a watch of the video below to get a quick taster of what I’m talking about, then read on. Yup – sounds barmy doesn’t it?! From my perspective it definitely is, especially when you consider that my wife has just given birth to our second child and I’ve only got 5 weeks remaining to train. Oh and let’s not forget that I’ve only ever gone ski touring once – and that was over a year ago! So I’m going to have to train smart. I’m not totally unfamiliar with the ‘multiday’ event format. But will be new to me is doing an event that isn’t a race. Well, at least in it’s current guise it isn’t a race. 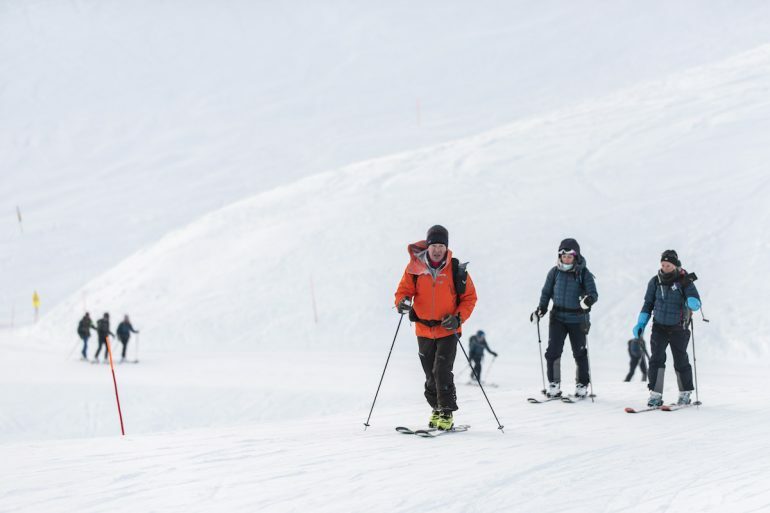 It’s more of a challenge with a simple objective – to reach the height of Everest on skis. A concept that the organiser Rob Ritchie and his co-conspirators at Secret Compass call ‘#findyoureverest’. It’s a concept I really like – to go and Find your Everest – whatever that might be. 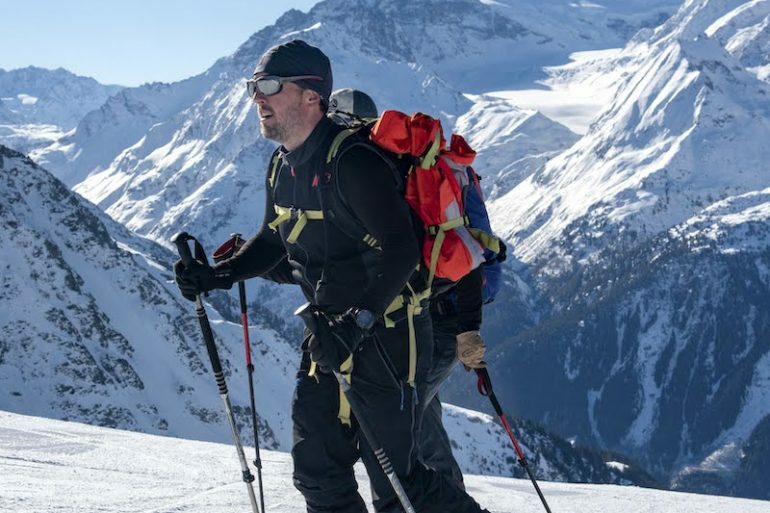 For myself, it’s embracing a new skill set – that of ski touring and combining that into a huge amount of vertical ascent in a short amount of time. 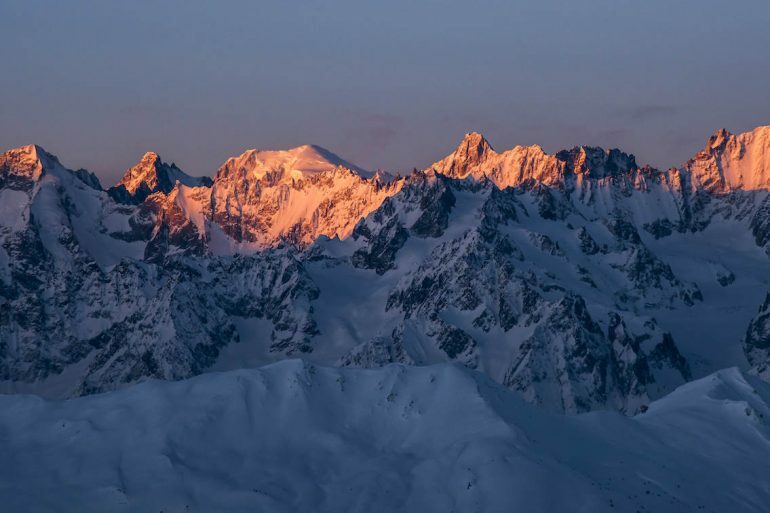 My only experience of ski touring happened a year ago, when I did a morning’s worth of training at my local ski resort of Gourette, in the Pyrenees. After a great deal of faffing about, trying to get my boots in the ski bindings, I finally set off on a 700m climb. It was exhausting. As I expect Everest in the Alps to be. 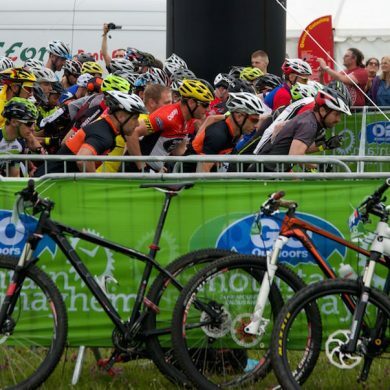 The organisers estimate that we’ll spend approximately 32 hours going up hill and around 3 hours downhill, with as many as 20 individual ascents each day. We’ll be climbing around 2,000 to 2,500m each day to reach our target of 8,848m – which will mean around 8 hours a day. Luckily, they’re not following the somewhat mind-numblingly boring format that cyclists have adopted in Everesting. 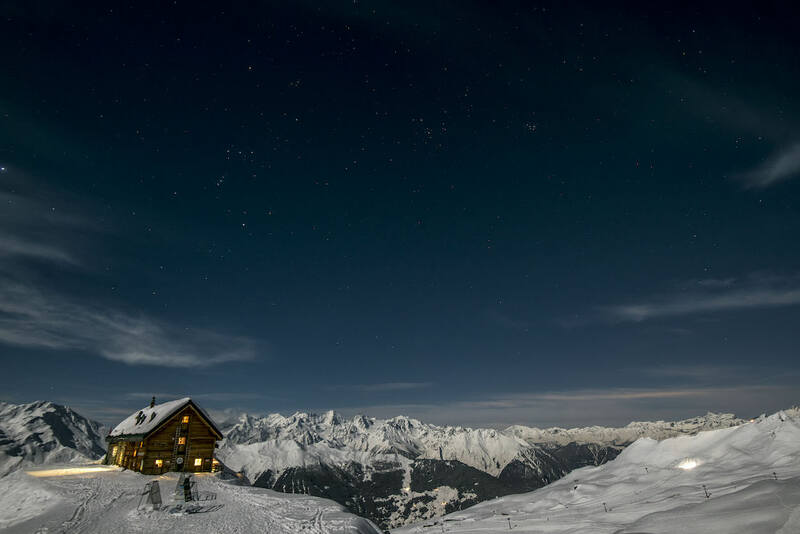 Rather, we’ll be following a series of routes that will start and finish at the same location – Cabane Mont Fort. 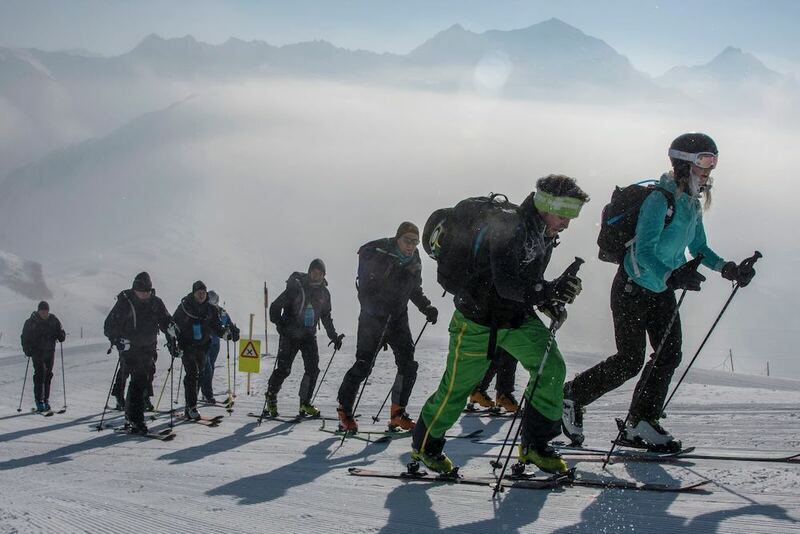 How do you train for Everest in the Alps? Everest in the Alps have a pretty good plan for building up your fitness for the challenge, but I’m going to have to train smart. So from the research I’ve done, my success at Everest in the Alps depends upon three things: my cardiovascular fitness, strength training and technique. But most crucial of all, is to be as light as possible on my feet. The more weight I’m carrying due to excess fat, the harder it’s going to be. So I’m going to have to quickly shift the Christmas pounds if this is to be a pleasurable experience. Luckily for me, my cardiovascular fitness is pretty good. And although January has ended up being a bit of a write-off, I’m confident that I can get my fitness back up to scratch using running and cycling as my main sports. I read some useful advice on an alpine guide website that says cycling offers the best bang for bucks, in particular mountain biking. I’ve found a decent number of strength and conditioning exercises from Ortovox that give some really useful advice on how to get strong and most importantly stay uninjured. The technique I’m going to have to learn in the field. Luckily I’m not far from a number of ski resorts in the Pyrenees where a few of my friends have offered to instruct me. Where did the idea for Everest in the Alps come from? This will be the 3rd edition of Everest in the Alps and by no means the last. Interestingly, the event was set up by a man called Rob Ritchie, who several years back discovered his five year old son, Toby, had a brain tumour. He and his wife initially felt a huge sense of helplessness as Toby faced this enormous challenge, his equivalent of climbing Mount Everest. And then, in one of moments you can only call a stroke of genius, he decided that he could in fact do something about it. He was going to organise an event and raise money to help carry out much needed research to help cure this problem for Toby and for the thousands of others who also suffer from brain tumours. And so, in 2015, Everest in the Alps was born. Over the course of the first ‘two ascents’ in 2015 and 2018 they raised over £4 million for the Brain Tumour Charity and in particular, the Everest Centre, which was established in 2017 to undertake ground breaking research on brain tumours. And they’re not finished yet. Many of my fellow athletes will be raising money for the Brain Tumour Charity, keen to carry on the work of Rob Ritchie and his family, however, raising money for charity is by no means obligatory. You can learn more about Everest in the Alps via their website. During the event itself I’ll be posting a daily video as well as regular updates via Instagram – so stay tuned.